We can give a better world to our children through healing our connection to the elements around us. 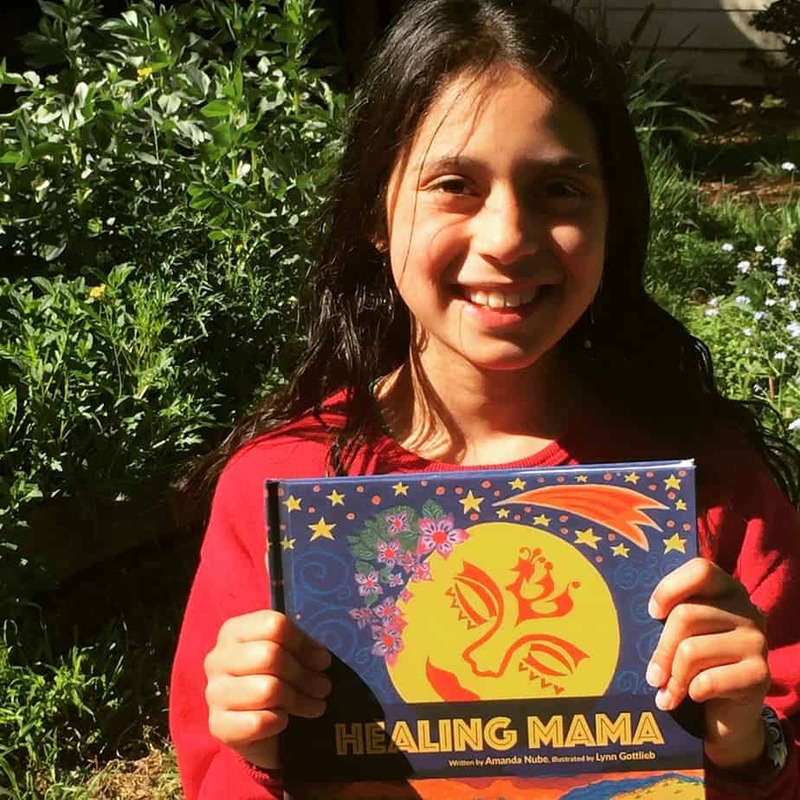 This beautifully illustrated story for all ages takes us on a mythic journey of healing, learning, laughing, singing, praying, and growing. 5 full page color images highlight the connection to Mother Earth, Father Sky, and all the elements around us and inside us. Together, with Mama & Daughter, you are invited into the spiral of life and into the story. Within these pages, young and old alike are invited to relate to our birth rites & to the magic of the cosmos. Emotions are revealed, tears and pain, as well as joys and rites of passage. The voice of the moon guides readers through 4 journeys with the elements of Earth, Water, Air, & Fire. Connecting to the first element, Earth, can lead us to discover how good it feels in our bodies to be part of the bounty of Mother Nature all around us. Water can connect us to our emotions and the changing tides and rhythms of our lives. Air can serve as a bridge between our lineage and our language, the words and beliefs passed down through our ancestors. Fire can bring us joy and closer to each other in celebrating our customs. 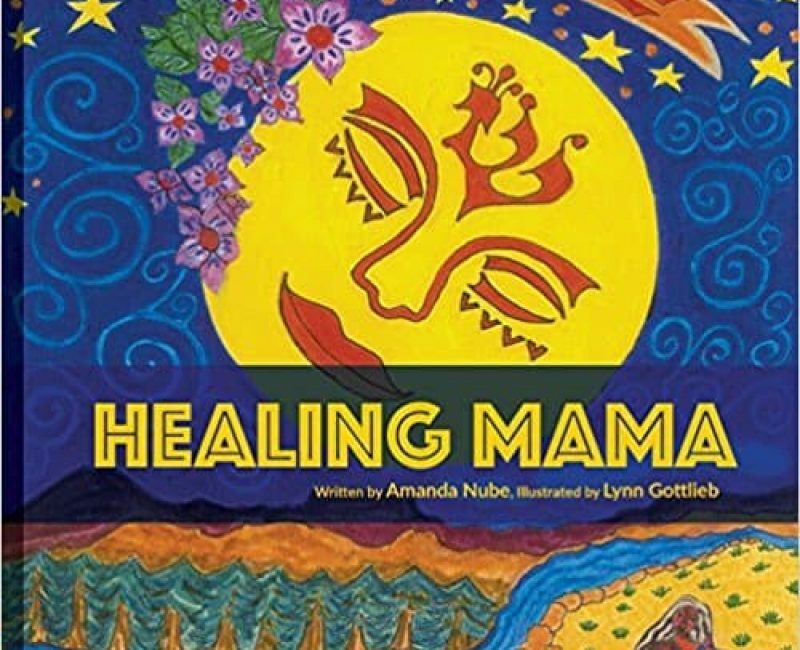 The mama & daughter in this story learn to listen to the teachings of Earth, Ocean, Wind, & Fire, and achieve what they set out to do in healing “Mama.” Why does Mama need healing? Is she sick? This is a rite of passage story, appropriate for youth ages 9 and up, though should you share this book with younger kids, I’d love to hear what their reflections are. Please read it over first and be prepared to answer questions that may arise about everything from birth to menstruation, where the book starts and where it concludes.